The host and promoter of the match was the MSN Gaming Zone, with sponsorship from First USA bank. After 62 moves played over four months, Kasparov won the game. Contrary to expectations, the game produced a mixture of deep tactical and strategic ideas, and although Kasparov won, he admitted that he had never expended as much effort on any other game in his life. He later said, "It is the greatest game in the history of chess. The sheer number of ideas, the complexity, and the contribution it has made to chess make it the most important game ever played." Kasparov was reigning World Champion and playing with the advantage of the white pieces, and previous examples of majority Internet voting had produced mediocre competition. For example, in 1996, Anatoly Karpov had taken the black pieces against the rest of the world and won convincingly. The World Team had several points in their favor, some of which were innovative for an Internet game. First, four young chess stars were selected by MSN to suggest moves for the World Team. They were, in decreasing order of FIDE rating: Étienne Bacrot, Florin Felecan, Irina Krush, and Elisabeth Paehtz. Daniel King, recruited to provide a running commentary, often acted as a fifth advocate. Second, the moves were slowed down to a pace of one move per day; that is, Kasparov had 24 hours to consider each of his moves, and the World Team had 24 hours to respond. Third, MSN provided a bulletin board for the discussion of the team's moves. It was hoped that these advantages would collectively allow for true consultation, and raise the level of play. The World Team also benefited from an organization known as "The Computer Chess Team" founded and captained by Gordon Swobe. This team used distributed computing to analyze each possible line and make recommendations to the world. Kasparov played his first move 1.e4 on June 21, and the World Team voted by a 41% plurality to meet him on his home turf with the Sicilian Defence. Position after 3.Bb5+. Kasparov chose to move into a closed game after the World Team chose his favorite Sicilian Defence. He later apologized for this move. Kasparov's third move was unusual for him. He typically plays the more ambitious 3.d4 in this position, immediately opening the game. His actual move is more likely to result in a closed game with only a strategic pull for White. Kasparov apologized to the World Team for this move, but excused himself in light of his upcoming match for the World Championship in 2000. Presumably, he had prepared some innovations in his main lines and did not want to reveal them in advance. Some 3% of viewers wanted Black to play 4...Nxd7, but were outvoted by those who thought Black's queen was safe on the light squares with White's light-squared bishop off and preferred to develop the knight to c6. With c4, Kasparov solidified his hold on the d5-square by advancing the c-pawn before developing his queen's knight, which joined the attack on d5 on the next move. The resulting pawn formation for White is sometimes called the Maróczy Bind, a way of cramping Black's position. The World Team responded by contesting control of the d4-square. Now Black must try to castle on the kingside and can set it up by developing the king's bishop to either the e- or g-files. Rather than move the e-pawn to e6 or e5 and have the dark-squared bishop blocked by the d-pawn, the World Team opted to fianchetto the remaining bishop, further contesting the dark central squares. Kasparov immediately broke up the center with his queen's pawn, before the black bishop could come to bear. The center was too hot for the white knight on d4, because the World Team was threatening a discovered attack by moving the black knight away from f6, unmasking the g7-bishop. Exchanging knights on c6 would have been silly for Kasparov, as it would have brought a black pawn to c6, giving the World Team greater control of d5; instead a retreat was in order. All of Kasparov's moves up to this point were considered good according to opening theory of the time. If White had wanted to achieve the strategic aims of this opening line, i.e. cramping Black's position without allowing counterplay, then either a different move (10.Nc2) or a different move order was necessary. Slightly more popular today is 7.d4 and after 7...cxd4 8.Nxd4 Qe6 would now lose the queen. 7.d4 does allow two other queen sorties with 7... Qg4?! or after 7...cxd4 8.Nxd4 Qg4. After 10...Qe6!?. This was a novelty by the World Team that blew the game wide open. The black queen forks two central pawns and White cannot save them without joining the battle for the center. Black finally secured the opportunity to castle but instead opted to complicate the position. This move was a novelty by the World Team, i.e. a move which had never before been played in a recorded game. Krush discovered and analyzed the move, and enlisted Paehtz to recommend it as well, to give it a better chance of winning the vote. Their combined advocacy, plus much discussion on the bulletin board, was enough to gain it 53% of the vote. After this move, MSN requested that the four official analysts not coordinate with each other, perhaps to ensure a greater variety of recommendations. The analysts worked in isolation from each other thereafter. 10...Qe6 has since been played frequently, though 10...0-0 also remains popular according to ChessBase. It was clear from a look at the voting results that, although the World Team was managing to pick theoretically correct moves, many rank amateurs were voting as well. Demonstrably bad moves were garnering a significant percentage of the votes; even worse, on move 12, about 2.4% of the voters chose illegal moves which did not get the World Team out of check. The World Team was not coordinating well on the bulletin board. Typical posts were brash, emotionally heated, and confrontational; profanity flowed freely. Much more energy was being spent on flame wars than on analysis. The tenth move was a turning point for the World Team, not only because it increased Krush's stature and energized the World Team, but because it blew the position on the board wide open. The black queen forked Kasparov's central pawns; he could not save them both. Counterattacking with 11.Qb3 would have been met by 11...0-0 12.Qxb7 Rfc8, and the World Team would have won back a central pawn with a favorable game. Kasparov was forced to enter the maelstrom with the next several moves. After 14...axb6. The position is materially even, but Black has a lead in development and control of the center to compensate for the doubled pawns and centralized king. After forced moves on both sides, Kasparov made a desperado move with his knight to cause the World Team to have doubled pawns. Materially the game was still even, with a knight and two pawns balancing a rook. Positionally, the World Team had the disadvantages of doubled pawns and a centralized king, but the advantage of a lead in development and a central pawn mass. With no central pawns, Kasparov had no clear-cut way to expose the black king. In the judgment of many commentators, the World Team was at least equal, and it was perhaps Kasparov who was fighting uphill. Kasparov rose to the challenge with an excellent move picked from alternatives which would have let the World Team take a strong initiative. For instance, it was tempting to harass the black queen and possibly fianchetto the queen's bishop with 15.b3, but this would have invited the World Team to switch wings and initiate a kingside attack with 15...Qh4. Or, to blindly follow the rule "never move a piece twice in the opening when you can develop another piece" with 15.Be3 would have allowed the World Team to play 15...Nd5, bringing the black knight to the square it most fervently wished to occupy. Kasparov's actual move contested d5, somewhat blunted the effect of the black bishop on g7, and retained a compact, flexible position. On the fifteenth move the World Team hotly debated a number of promising alternatives, including 15...e6 (still contesting d5), 15...d5 (occupying d5 outright! ), 15...Ne4 (trading off Kasparov's best-placed piece), 15...Rd8 (intending to artificially castle and mobilize the central pawns), 15...Ra8 (pressuring the queenside and threatening a rook lift via a5), and 15...b5 (threatening to dislodge the white knight and pressure the queenside). The plethora of strong options available to the World Team was reflected in the analysts' recommending four different moves. By this point in the game, several chess clubs had begun posting daily analysis to complement what was available on the official bulletin board and Web site of the game. The weightiest of these was the "Grandmaster Chess School" or GM School, a consortium of Russian grandmasters in St. Petersburg. For the World Team's 15th move, they recommended 15...b5, along with Paehtz. Some people expected the unofficial recommendation of the GM School to be influential, particularly when the official analysts could not agree, but 15...b5 came in a distant second with 15% of the vote. In first place was Jon Speelman's idea of 15...Ra8 with 48% of the vote. The results of the vote were a reflection of the increasing coordination of the World Team. Krush was maintaining an analysis tree, and continually updating with all the suggestions and refutations from the bulletin board. Not only did the analysis tree allow the World Team to work with less duplication of effort, it served as a standing, detailed argument for the correctness of the recommended move. In short, Krush was facilitating two tasks simultaneously: not only discovering a good move, but building a consensus that it was indeed a good move. Given that she had become the center of all the cooperative effort of the World Team (as opposed to individual effort, however heroic), even players of much greater strength began sharing their ideas with her, so that she would incorporate them into her analysis. In particular, Alexander Khalifman of the GM School struck up a constructive correspondence with her. This move was directed at the World's maneuverer 16...Ra5, which could now be met by 17.Nb5!, paralyzing the Black queenside. Simultaneously, Kasparov threatened a rook lift of his own via Ra3, which could disrupt Black's plans in several continuations. Finally, 16.a4 prevented the World Team's doubled b-pawns from advancing, thus making them future targets. The game remained very unclear and dynamic, but it suddenly appeared to be the World Team which was fighting to maintain the equilibrium. Again for the 16th move the four analysts made four different recommendations. This time Krush's suggestion of 16...Ne4 garnered 50% of the vote to 14% for 16...Nd4 in second place. After 18.Qb3. Kasparov responded to the aggressive play of the World Team with this fork by his queen. But the World Team, aided by Alexander Khalifman, found suitable counterplay. On the 16th move, the World Team forced Kasparov to trade off his only piece that was not on the back rank, and simultaneously unmasked the action of the g7 bishop. Kasparov responded with a queen fork of the black pawns on b6 and f7. The loss of a pawn appeared unavoidable, but the World Team uncovered ways to gain some counterplay. The bulletin board debate raged between playing 18...e6 19.Qxb6 Nd4, to make sure it was the weak doubled pawn which went missing, or the more aggressive immediate 18...Nd4, allowing 19.Qxf7. Khalifman, however, found the extremely subtle move 18...f5, and after chewing it over, the bulletin board was more or less convinced. The strength of the bulletin board consensus was tested when the other three analysts unanimously recommended 18...Nd4. The vote came out with 43% in favor of Krush's recommendation of 18...f5, and 35% in favor of the otherwise unanimous recommendation of 18...Nd4. This sparked loud grumbling on the bulletin board that Krush had "taken over the game". Those who complained were not overstating Krush's influence; her recommendations were selected every single move from the 10th to the 50th. The World Team conceded Kasparov the b6 pawn, but for a price. After 19.Qxb6 Nd4, the World Team would have had dual threats of Nc2 and Ra6, ensuring very active play for the pawn. If instead Kasparov continued developing with 19.Be3, the World Team could have offered a queen trade with 19...Qb4, and banked on the central pawn mass to be quite strong in any endgame. But rather than these, Kasparov once again found a powerful continuation: a developing move with stronger attacking possibilities. Kasparov, up against much stiffer resistance from the World Team than he had imagined possible, began to drop hints that he was effectively playing against the GM School, and not against the Internet as a whole, but move 19 (among others) debunked that theory. The GM School recommended 19...Qd4, while the bulletin board found a flaw in their analysis, and generally favored 19...Qb4 as being more forcing. Furthermore, for much of the game, a few top grandmasters of the GM School were busy with other commitments, and the World Team analysis was driven instead by a handful of dedicated International Masters, United States Masters along with dozens of amateurs exploring and double-checking countless lines with strong chess software. On this particular move, the voting was further complicated by a large faction in favor of 19...Nd4, with a counterattack, and this was the recommendation of both Felecan and Paehtz. The winning total of 35% for 19...Qb4 was the lowest winning total for any move of the game, perhaps because the move essentially forced Kasparov to intensify his attack on the kingside. Note that a queen trade was strategically out of the question for White, as it leads to a favorable endgame for Black. After 20.Qf7. Black can grab a pawn and protect the bishop with 20...Qxb2, but this would result in terrific pressure on the e7-pawn and the black king. Kasparov did not fall for the simple trap of grabbing the h-pawn, (21.Qxh7 Rh8 skewering Kasparov's queen and h-pawn: 22.Qxg6 Bxh2+ 23.Kh1 Qg4 with at least an extra piece for the World Team) but opted for a simple defensive move which restored his threat to plunder the Black kingside. A few World Team members favored shoring up the kingside with 21...Rh8, effectively admitting that the 15th move was a mistake. To defend in that way would have left Black with a very passive position, and invited Kasparov to activate his pieces. Instead, the World Team opted to play actively, exchanging the kingside pawns for Kasparov's queenside pawns. This line showed that the pressure the black rook exerted on the queenside was not illusory, and Kasparov's reply on move 16, albeit brilliant, did create a weakness. After 25...Bd4. The game has begun to assume features of an endgame: White and Black are now in a race to promote their h- and b-pawns, respectively. The dust settled, and the material was still even, with a rook balancing a knight and two pawns. With a pair of rooks exchanged, and neither side having pawn levers to use against the enemy king, both kings were safe enough that direct attacks became less likely. Therefore, although the queens remained on the board, the game started to take the character of an endgame, with the struggle to promote a pawn rising to the foreground. Indeed, Kasparov could have immediately begun marching his h-pawn forward, and the World Team would have had difficulty restraining it. On the other hand, the World Team's b-pawn would have been able to advance equally quickly, making the position very double-edged. Rather than launching the race at once, Kasparov made a subtle move to tie down the World Team into a more passive position. Kasparov hit at the weak b-pawn, and prepared Be3. The World Team did not want to trade bishops, and considered the consolidating move 26...Bc5 so that 27.Be3 could be met with 27...Nd4. However, Kasparov had the even deeper threat of first using his queen to help his rook into play. After 26...Bc5 27.Qb1!, the World Team could not have accepted a queen exchange which would bring the white rook to life, but moving away the queen would allow 28.Re1, and suddenly the white pieces would be coordinating very well. Consistent with previous moves, the World Team found a sharp, active alternative in 26...f4, which extensive analysis showed to be at least as good as 26...Bc5. However, Krush's recommendation on behalf of the bulletin board once again stood alone against the unanimous recommendations of the other three analysts. In an extremely close vote, 26...f4 edged out 26...Bc5 by a margin of 42.61% to 42.14%. The World Team blocked off Kasparov's bishop from its natural post on e3, and threatened to generate an attack on the white king after all. 27.Qb1 could be met by 27...Bxf2+, while 27.Qd1 would run into 27...f3, and starting the pawn race with 27.h4 would be answered by 27...Ne5 with attacking play for the World Team. Kasparov instead opted for a simple and natural move. Moving the queen to the square it just came from only appeared to lose a tempo. In actuality, the World Team had to use a move to defend the f-pawn. Furthermore, the white queen indirectly supported Kasparov's h-pawn to advance, and put the brakes on the World Team's threat of advancing the f-pawn to f3. After the World Team defended the f-pawn, Kasparov decided to launch the race to queening which had been hovering in the background for several moves. After 29...Qc4. Black could not match the march of White's h-pawn by playing 29...b4, without losing tempo. The game has started to shift toward Kasparov's advantage. The World Team could not afford to blindly keep racing the b-pawn forward with 29...b4, because the white queen still guarded the b3-square, which Black would have to lose a tempo to guard before advancing again. The move 29...Qc4, in contrast, did not lose a tempo, because Kasparov could not afford to trade queens in a way that would have undoubled the black pawns and given the World Team a central pawn steamroller for the endgame. The alternative 29...Qe2 also might have held the fort for Black, by offering to exchange the white h-pawn for the black f-pawn. However, as part of the trade, the bishops would also have come off, and none of the four analysts was prepared to trade the World Team's lovely bishop for Kasparov's cramped one just yet. Some of the bulletin board analysis focused on Kasparov's possible reply 30.Qf8, keeping the queens on the board and threatening to harass the black king from behind. However, computer checking of many lines found no advantage for White in this strategy, and in fact revealed chances for White to press too hard in a complex position and stumble into disadvantage. Kasparov elected to force a queen trade, break free his imprisoned bishop, open the f-file for his rook, and create connected passed pawns in a pure endgame. The World Team's responses were essentially forced. After 33.fxg3. The ensuing position is sharp for both sides, with six passed pawns in total. Here, as elsewhere in the game, the World Team opted for counterplay. Despite the reduced material, the position remained sharp due to the presence of six passed pawns. On move 32 Kasparov initiates a sequence that after a pawn exchange will open the f file for his rook and leave a supporting g pawn for his h pawn. On move 33, the World Team had the option of snatching Kasparov's g-pawn, losing two tempi in the queening race. After the sequence 33...Bxg3 34.h6 Be5 35.h7 Bg7 36.Rf8 b4 37.h8=Q Bxh8 38.Rxh8 an extremely unbalanced endgame would have ensued, with Kasparov having a rook and bishop versus the World Team's knight and four pawns. The central position of the black king might have been just enough to hold a draw for the World Team, but none of the four analysts trusted the position enough to recommend it. Instead the World Team opted for counterplay, as usual, this time by a vote of 72%. Kasparov's offer to trade bishops caught the bulletin board entirely off guard. It had been assumed that Kasparov would try to bring his king into the center to restrain the black pawns, and the World Team gave deep thought to 34.Kf2 Kf5. After Kasparov's actual move, it would have been suicide for the World Team to trade off the precious bishop. 34...Bd4+ looked promising, particularly because it would not lose a tempo, since Kasparov would have to move out of check. After the game, Kasparov said that he would not have been able to break through if the World Team had played the more defensive 34...Bh8, but the possibility did not receive much attention on the bulletin board. Danny King forwarded 34...Bh8 in his running commentary, but all four official analysts felt more comfortable with the more active move, so 34...Bd4+ overwhelmingly won the vote. Although it intuitively makes little sense to move the white king away from the action into a corner where it can neither support the white pawns toward queening, nor delay the black pawns from queening, this move put the World Team in a serious predicament. But perhaps even greater than the effect of this move on the position was its effect on the psyche of the bulletin board. For the second straight move, Kasparov had avoided almost all of the World Team's preparation without positionally conceding anything in the process. This was no coincidence, as the World Team would later find out. Tensions were increased on the bulletin board. One of the major points of contention was whether Kasparov was reading the bulletin board. While some attempted to communicate in emails, the vast majority of people considered it inconceivable and flames were sent to the effect of why would Kasparov need the moves of lesser players. This turned out to be naive. As the World Team began to panic in a dangerous position, the flames, insults, and petty bickering reached heights not seen since the initial dozen moves of the game. For example, there were shrill cries that the 33rd move had lost the game for the World Team. In the scramble following Kasparov's 35th move, no one on the World Team noticed that 35...Ne5 is probably enough to hold the draw, and opted for pushing the b-pawn, influenced by Krush who had discovered what seemed to be adequate continuations for the World Team. After 36.g4. Kasparov's connected passed pawns are marching toward victory. Black, on the other hand, is in a very awkward position and must try to salvage a draw. In this position Kasparov had connected passed pawns supporting each other, whereas the World Team needed the knight (or possibly even the king) to laboriously move into position to usher the black b-pawn to queening. Furthermore, should the black bishop move, the white rook could slide over to g1 where it would support the g-pawn from behind while still keeping an eye on the b1 queening square, an additional subtle point of Kasparov's 35th move. Finally, by temporarily controlling the dark squares with his bishop and the light squares with his pawns (which 36.h6 would not have done) Kasparov kept the black king from advancing to f5, which in some lines would have been sufficient to blockade the pawns. The bulletin board was near despair at this point, having convinced itself that 36...b2 would lose to 37.g5 Nb4 38.g6 Nd3 39.h6, and then 39...Nxf4 would not be check due to Kasparov's 35th move, and would therefore fail to hold the draw. Similarly an immediate 36...Nb4 would merely transpose to the above line and lose. The only move for which some lines seemed still possibly drawn was 36...Kd5, which Krush duly recommended, but Bacrot and Felecan suggested 36...b2, while Paehtz favored 36...Nb4. This created yet another razor-thin vote, with 36...Kd5 scoring 37.69% of the vote winning over 36...b2 with 37.11%. This game, which had started in June, had now spilled over into September, longer than anyone had anticipated. Kasparov, however, had grown sufficiently confident in his position that he called a press conference about the game, presumably in order to announce a forced win. The black pieces did not seem up to the task of both holding off the white pawns and pushing through the black pawn, while the white rook was working effectively through threats alone, without even moving. Kasparov's two passers apparently required two black pieces to restrain, but the black knight could not cross over via e5 because Kasparov would have simply exchanged the white bishop for it. Therefore, the bulletin board turned its attention to 37...e5, driving away the white bishop and clearing the way for Ne7. But Kasparov had a devilish reply in 38.Bc1! His pawns would be so strong in this line that he could have sacrificed his bishop for Black's b-pawn, particularly since the black bishop would be temporarily cut off from the h8 queening square. Also, in many lines where Black does not force the white bishop to give itself up, it can reverse field with Ba3, tying the black king to the defense of the d6 pawn. With its back against the wall, the World Team found the only saving move. This move opened e7 so the black knight could cross over, but also kept open the a1–h8 diagonal for the black bishop. Kasparov probably had thought that 38.Rd1 was winning in this line. Certainly many participants on the bulletin board thought so! But an exhaustive analysis shows that the World Team had the resources to hold on, at times by the narrowest of margins, if it responded with 38...Ke4. The power of the centralized black king vis-a-vis the white king off in the corner would come into play, showing that even brilliant chess moves have minor disadvantages. Instead of trying the complexities of the 38.Rd1 line, Kasparov said at his press conference that he had no idea how the game would turn out, and began to force the World Team into an ending in which each side got a new queen, and the outcome was still very unclear. After 41...exd4. As play progressed through the endgame, the World Team's voting became increasingly erratic, responding poorly even to forced moves. The World Team's moves were all essentially forced. Kasparov's main chance to deviate would have been with 40.Bc1, but then 40...Ke6 appeared to hold. Although the black bishop was at that time temporarily cut off from holding back the pawns, the black king was temporarily not cut off, and an extra tempo in such positions makes all the difference. Kasparov, when making his 38th move, had in all probability already elected to force the World Team's responses all the way to move 50. As the game became more and more strategic, with endgame plans replacing middlegame tactics, voting for a good move seemed increasingly beyond the ability of casual World Team members. For example, on the 40th move Kc4 was a crucial tempo in the World Team's fight to promote the b-pawn, so it was recommended by all the analysts and Danny King, but it received a mere 79% of the vote. Earlier forced moves had gotten as much as 98% of the vote. Perhaps this reflected the fact that many weak players got hints from their home computers, which were notoriously poor at endgames. The World Team's pawns, albeit ungainly, had become a sufficiently potent threat that Kasparov's rook could not take the double role of guarding the home rank and forcing through the passed pawns against Black's knight. Therefore, the white king had to come out of its corner at last. After 46.Rh1. If Black tries to queen the b-pawn immediately, White wins: 46...b1=Q 47.Rxb1 Kxb1 48.Kxd4. The World Team needed to advance the d-pawn as well as the b-pawn, in order to get a second queen after Kasparov sacrificed his rook for the first one. Against the recommendations of the analysts, nine percent of the World Team voted for the horrible blunder of immediately queening the b-pawn, which loses after 46...b1=Q? 47.Rxb1 Kxb1 48.Kxd4. It was merely to give the World Team this opportunity to blunder that Kasparov marched his king to the center instead of straight forward. The white king arrived to assist the white pawns just as quickly with diagonal moves as with straight ones, and the diagonal moves gave it incidental threats in the center. For the World Team's 47th move, the analysts were again unanimous, this time recommending immediate queening. Yet 15% of the voters were tempted to try to hang onto the knight a few moves longer with 47...Nh8. This would have led to a lost endgame after 48.g6 d2 49.g7 d1=Q 50.Rxd1 Kxd1 51.gxh8=Q b1=Q+, when Black cannot engineer a perpetual check. After 50...d1=Q. Seven-men Lomonosov endgame tablebases say it is draw (49.Kxg6 also draws). The race to queen a pawn ended in a tie. The position was not equal, though. Kasparov's far-advanced g-pawn was an imminent threat to queen, while the World Team's pawns were potentially liabilities as much as assets, since they could give the white king a modicum of shelter from threatened checks. The general plan of defense for the World Team was to place the king favorably so that Kasparov could not threaten a deadly queen trade, and then determinedly check Kasparov's king to prevent him from queening the g-pawn. In some lines the World Team could gain counterplay by advancing its own pawns, but this was a secondary strategy. The World Team had relied heavily on computer analysis for much of the game, but at this point the forward-searching chess engines began to produce worthless suggestions. This type of position is seldom understood by computers, except by endgame tablebases. As of October 1999, however, there were no seven-piece endgame tablebase, and seven pieces remained in the actual position. After the game was over, Peter Karrer of Switzerland constructed a specialized tablebase for the purpose of fully understanding this endgame. With the aid of the tablebase, Krush and IM Ken Regan were able to prove that the position after the World Team's 50th move was drawn with best play on both sides. Both Kasparov and the bulletin board suspected that the position was drawn, but as the further course of the game proved, no one fully understood the position at the time. Some World Team members tried to gain insight from the position by consulting state-of-the-art five-piece tablebases, with the black pawns missing, and were encouraged to find the position dead drawn. Unfortunately for the World Team, the extra black pawns complicated the position enormously, and not necessarily to the World Team's advantage. For example, analysis positions arose which were theoretically drawn with both black pawns in place, but which would be won for White if exactly one black pawn were not there, and then again drawn with both black pawns gone. This move threatened to gain Kasparov tempo by advancing the king with discovered check. The bulletin board and Krush came up with the response 51...Ka1, which Kasparov later said he had considered as a dead draw, and the subsequent endgame tablebases confirmed to be so. But Felecan recommended 51...d5 and Paehtz favored 51...b5, while Bacrot sat out the turn. For the first time in 40 moves, Krush's recommendation was not selected, receiving only 34% for 51...Ka1 to 39% for 51...b5. Someone using the alias "Jose Unodos" joked that he rigged the vote for the Paehtz suggestion 51...b7–b5 instead of Kb1–a1 that Krush and most others thought the best move. However, he included an explanation of how he could have done this. The ballot-stuffing method he outlined was indeed workable, as several bulletin board members verified on the 59th move, after Kasparov had already secured the victory. MSN insisted the outcome of the move was not altered by vote stuffing. The bulletin board and Krush now concluded that 52...Kc1 offered the best chances of holding a draw. Kasparov versus the World 1999 analysis via Peter Karrer's special computer program for the position, which was fashioned two weeks after the game was over: If 52...Kc1! (but 52...Kb2 was played in the game), 53.Qe4! Qf1+ 54.Ke7 b4. Here if 55.Qb4, Black must find 55...Qf5 (the only move) 56.Qc3+ Kb1 57.Qf6 Qe4+ (only move) 58.Kf7 Qc4!+ 59.Kg7 d5 (only move) so Black can draw. Upon 55.g6! Qg1! 56.Qf4+ Kd1! 57.Kf7 b3=. Also on 55.g6 Qg1 56.Qc4+ Kd1 57.Qd3+ Kc1—here White cannot theoretically progress. However, with Bacrot recommending 52...Ka1 and both Felecan and Paehtz favoring 52...Kb2, the latter move eked out a victory with 42%. The idea was to use the king to support the b-pawn toward promotion, but it does not quite work. After 54.Qf4. At this point, Bacrot's recommendation 54...Qd5! could have saved the game, but the World Team chose Krush's doomed 54...b4? instead. Krush and others on the MSN forum recommended sacrificing the b-pawn with 54...b4 in order to allow the black queen to give check on the f-file. This was partly based on the modified tablebases, which needed to assume exchanges to reach an error-free conclusion, by reducing the number of pieces and possibilities. Bacrot advocated centralizing the black queen with 54...Qd5!, while Felecan and Paehtz suggested 54...Qd3. Later analysis showed that Bacrot's recommendation could hold the draw in a relatively comprehensible fashion, and Felecan and Paehtz's move could hold after some desperate ingenious squirming, but Krush's move would concede Kasparov a forced win, if he could find it. This move was the first mistake made in the 7-piece endgame. The tablebase shows that either 54...Qd3 or 54...Qd5 gives a theoretical draw. After 58.g6. Both continuations 58...Qe4 and 58...Qf5 ultimately lose with best play. Kasparov played forcefully on moves 55–57, and the World Team responded each time with a large majority for the best plausible move. On move 58, however, there was another swirl of controversy. Both 58...Qe4 and 58...Qf5 looked reasonable, but the bulletin board had analyzed the former to a forced loss, so Krush duly recommended the latter. Due to an e-mail glitch, her recommendation and analysis were not received on time by the MSN site, and voting proceeded for some time with Bacrot and Paehtz both recommending 58...Qe4 against only Felecan favoring 58...Qf5. When the weaker move won the vote 49% to 44%, there were dismayed cries from the bulletin board that the result of the game had been invalidated by the delay of Krush's recommendation. Particularly troublesome for the board was that Kasparov has turned in several of his moves late, without punishment or even a warning, while Krush was waiting till the early morning hours and then attending high school the next day. For this move Krush could stay up no longer and hence her hurried email later in the day. Kasparov admitted that 58...Qf5 would have put up stiffer resistance, but claimed it was also losing, and published a "forced win". Subsequently, tablebases showed an error in Kasparov's analysis, but confirmed that 58...Qf5 could not have saved the draw with best play on both sides. The main line starts with 58...Qf5 59.Kh6 Qe6 60.Qg1+ Ka2 61.Qf2+ Kb1 62.Qd4 Ka2 63.Kg5 Qe7+ 64.Qf6 Qe3+ 65.Qf4 Qg1+ 66.Kf6 Qb6+ 67.Kf7 Qb7+ 68.Ke6 Qc8+ 69.Kf6 Qd8+ 70.Kf5 Qc8+ 71.Kg5 Qc3 72.Qh2+ Ka1 73.Qe2 Kb1 74.Qf2 Qc1+ 75.Kg4 Qc3 76.Qf1+ Kc2 (or 76...Kb2 77.Kf5 Qc7 78.Qe2+ Kb1) 77.Kf5 Qc7 78.Qe2+ Kb1 79.Qd3+ Ka2 80.Qa6+ Kb3 81.Qe6 Ka2 82.Qf7 Qc2+ 83.Ke6 Qe2+ 84.Kxd5. At this point several disgruntled members of the bulletin board, knowing the game to be lost, suggested the blunder 59...Qe1??. This suggestion expressed frustration with how move 58 had proceeded. A lot of participants were still angry over the e-mail glitch, which they felt was what caused the current losing situation. The move 59...Qe1?? got the majority of the votes, but Microsoft invalidated all votes, claiming that ballot stuffing had taken place. Also, MSN announced that this was the only move on which ballot stuffing had taken place at a level where it was significant, even though some players (as previously mentioned) had published a ballot stuffing technique and had admitted to using it several moves earlier. This made some players even more angry. While they acknowledged that some ballot stuffing might have taken place, they also thought it likely that 59...Qe1?? would have won the vote anyway. MSN refused to release the raw vote counts so no independent analysis of the situation was possible. Due to complaints, Microsoft added a resign option to the next vote, which got 28% of the vote after it was first added – a high number, but not the plurality. With his 62nd move, Kasparov announced a forced checkmate in 28 moves found by the computer program Deep Junior. In light of this, 51% of the World Team voters opted to resign on October 22, four months after the game commenced. Final position after 62.g7. White's pawn is unstoppable and will promote. The World Team resigned. Kasparov said, "I spent more time analyzing this than any other game." After the game Kasparov shocked many people on the MSN forum, which was kept open after multiple requests, by announcing he had been reading the World Team strategy board during the game. This dialogue occurred in the follow-up chat room interview: "Host Chris_MSNBC says: Did you come frequently read our comments in the BBS? Host Garry_Kasparov says: Of course I used it to my advantage to look around and follow the discussion on MSN.COM about the game". He also gave the team credit for a game at the highest level: "I think that the world deserves to make a draw...". Kasparov justified his decision by claiming he needed an advantage. In later World Team games, more secure forums were created with passwords, or the opponent at least pledged to not read the WT forum. In 2000, Kasparov published a book about the match: Kasparov Against the World: The Story of the Greatest Online Challenge, co-written with Grandmaster Daniel King. The 202-page book holds the record for the longest analysis devoted to a single chess game. ^ "Garry Kasparov vs The World (1999) "Sitting on Top of the World"". Chessgames.com. Retrieved 26 November 2014. ^ a b c d e Harding, T. (2002). 64 Great Chess Games, Dublin: Chess Mail. ISBN 0-9538536-4-0. ^ "The World vs Anatoly Karpov (1996) "The World Is Not Enough"". Chessgames.com. Retrieved 26 November 2014. ^ "Chess Corner - Fascinating Games - Karpov vs the World". 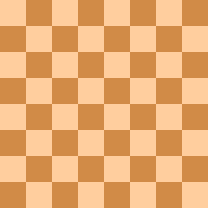 Chesscorner.com. Retrieved 26 November 2014. ^ a b "COMPLETE COMMENTARY BY MOVE". MSN. Microsoft. Archived from the original (TXT) on April 14, 2002. Retrieved 26 November 2014. ^ Benko, Pal (December 2011). "Progress with the Seven-Piece Database". Chess Life. p. 48. Retrieved 30 April 2018. ^ "Chess & Bridge". Chess.co.uk. Archived from the original on 11 October 2012. Retrieved 26 November 2014. ^ a b Sullivan, Bob (19 October 1999). "Kasparov foes feel rooked". ZDNet. Retrieved 23 October 2018. ^ "End of Game FAQ". Retrieved 23 October 2018. ^ Chessmaster 9000 annotations, "Garry Kasparov vs World Team, Kasparov vs. World, Round 1, Internet"
^ "Chess Records by Edward Winter". Chesshistory.com. Retrieved 26 November 2014. Kasparov Versus the World: The Great Internet Match: Regan's collection of articles and analysis. Includes two pieces by Irina Krush. Kasparov vs the World Chess Page Called the pre-vote site during the match, this site now contains analysis and statistics about the match. This page was last edited on 20 February 2019, at 07:14 (UTC).